Have your kids started back at school? Mine started today and even though my son is almost a middle schooler I kept it together and didn’t cry. That’s a big deal for me. Keisha of Cupcake Wishes and Birthday Dreams is back to help us wind down the final week of Back to School Month! 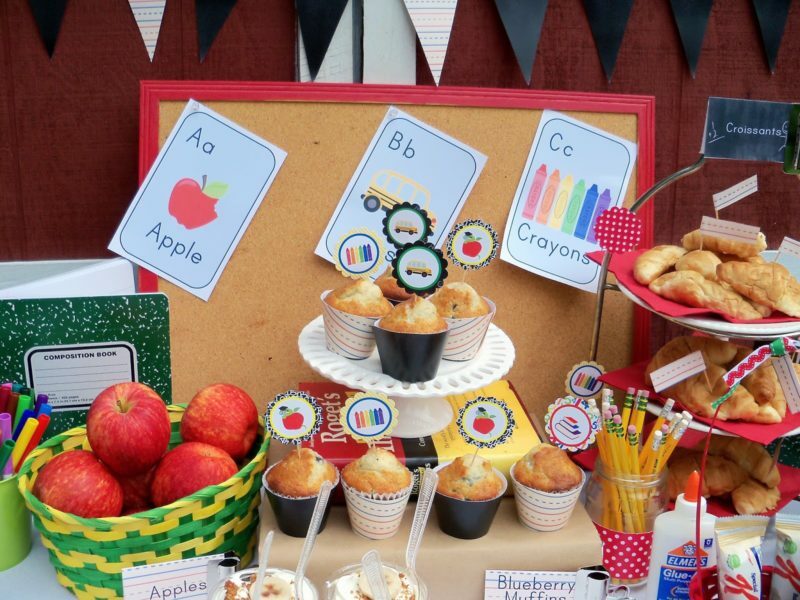 Keisha says: “How much fun would it be for your child to walk out the door on the first day of school to a Bus Stop Breakfast Bar? 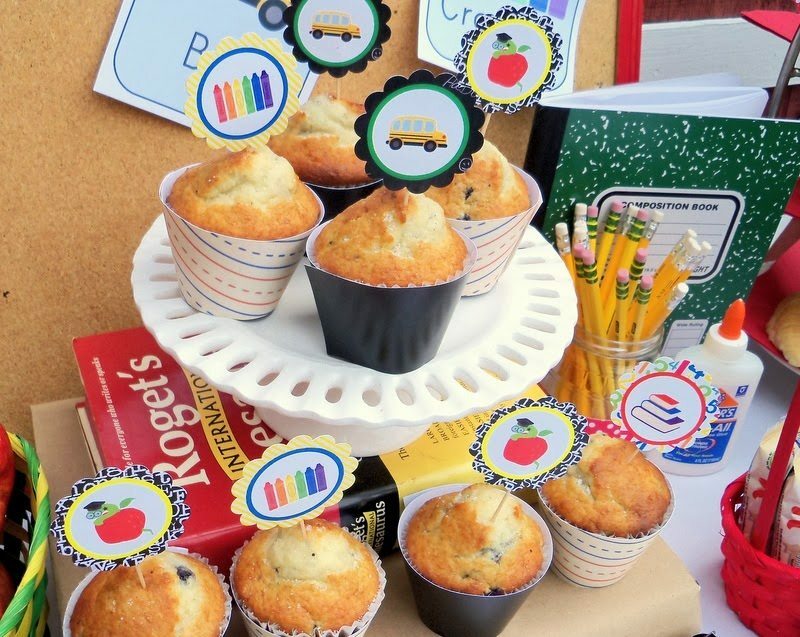 Not only is a Bus Stop Breakfast Bar a great way to get the little ones excited about the new school year, it is also an opportunity for parents and kids alike to re-connect. You can create a table-scape that is fun & festive by designing your own custom banners, wrappers and toppers using digital papers and clip art. For this project I used clip art and paper from the Back to School Collaboration Kit and The Rainforest Animals Paper Pack. Setting up a breakfast bar is super simple. 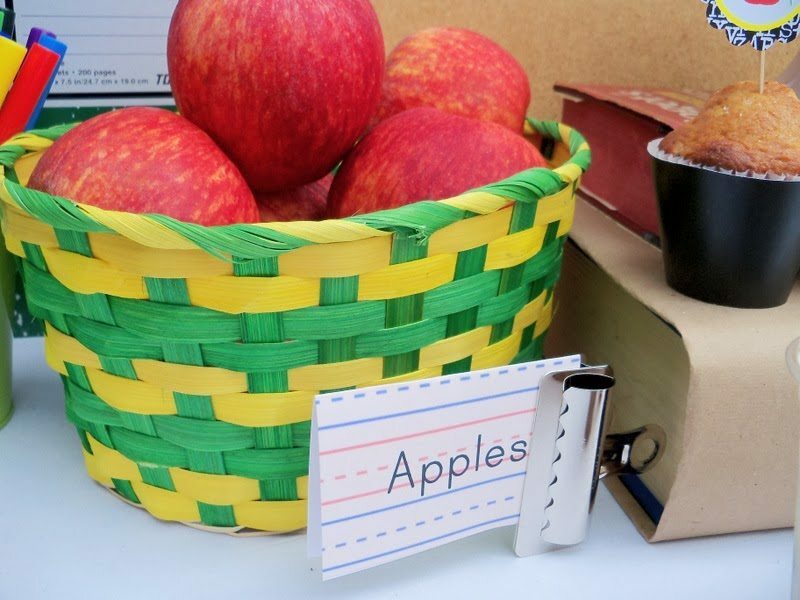 A few weeks before school coordinate with neighborhood parents by assigning a food item for each parent to bring. Set up your table in advance, perhaps the night before with table coverings, platters, baskets and decorations to save time. In the morning, you can tie balloons to your mailbox or hang a banner across your garage door to let your neighbors know there is something fun going on. 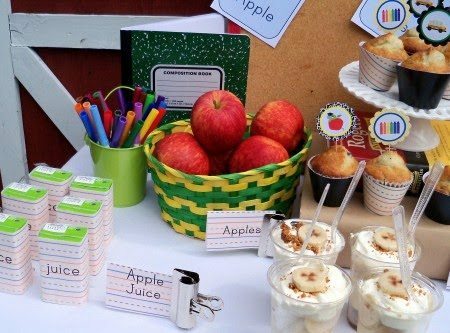 For this table display, I set out food that the kids could just grab and go like apples, banana parfait cups, blueberry muffins, croissants, cereal bars and apple juice. I also put an educational spin on it by including foods that begin with A-B & C! 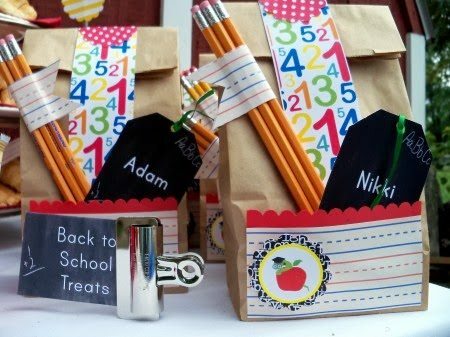 For a special treat, you can fill decorated paper sacks with school supplies like pencils, mini paper pads, erasers and pencil sharpeners to hand out as goodie bags. 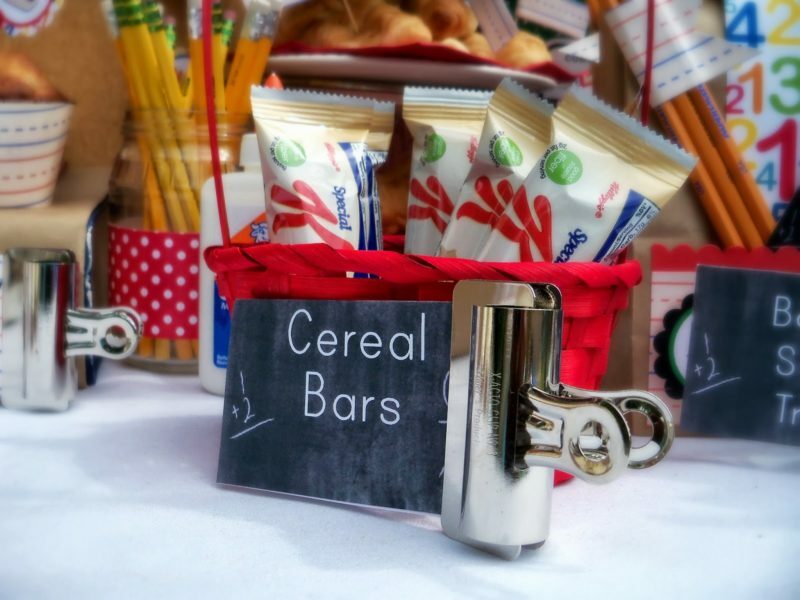 Thank you for sharing your Back to School Breakfast Bar, Keisha!